Today I popped in to Harvey Nichols Edinburgh to meet the girls at Fenty Beauty and experience their ‘Fenty Face’ consultation. 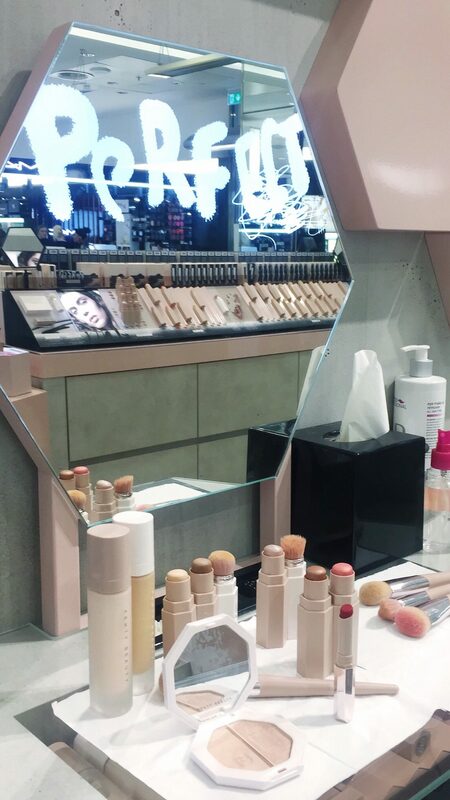 Fenty Beauty at Harvey Nichols Edinburgh is the only Fenty Beauty counter currently in Scotland. Having only been in the UK for 6 months, they have created quite the buzz. 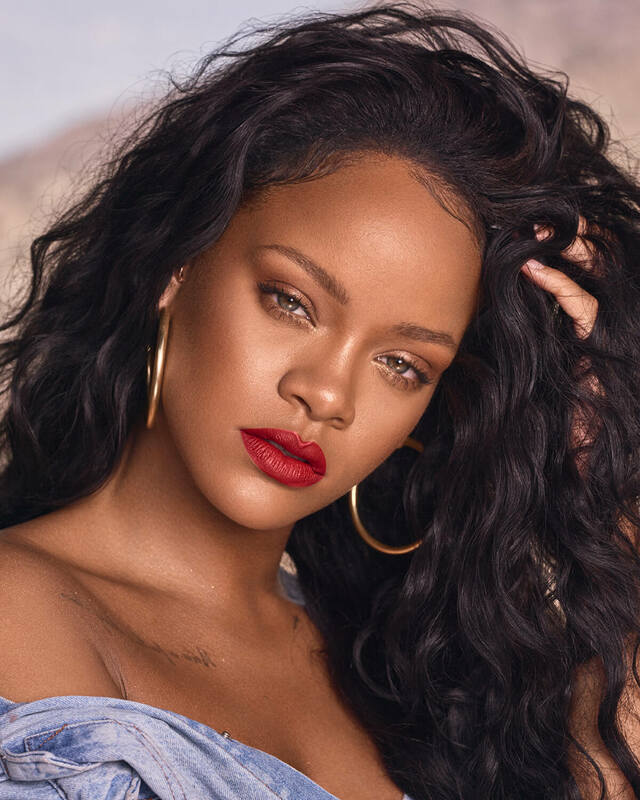 Fenty Face is a complimentary service to experience the cult status products for yourself. I was slightly worried I wasn’t going to like the products today because I had heard they were very matte, but I quickly fell in love. The foundation is semi-matte, not flat at all, and allowed my skin to still look like exactly that – my skin. 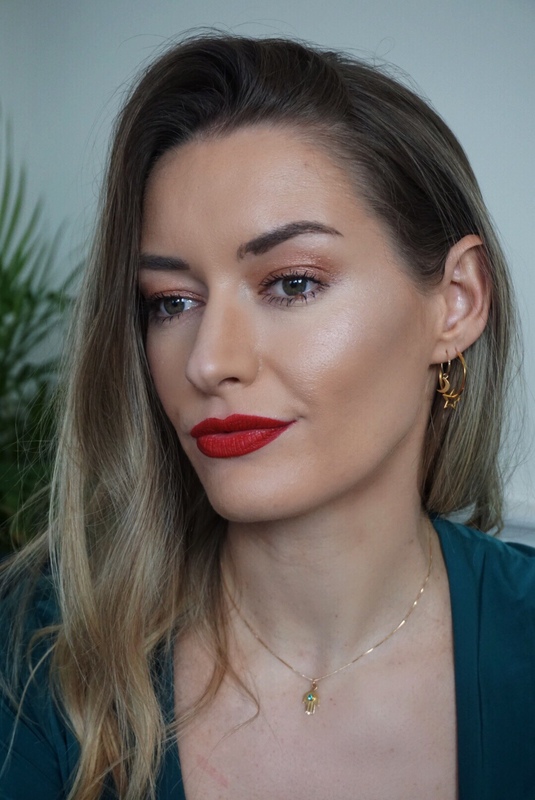 Everything I am wearing in these images (apart from my mascara because they don’t sell that…yet) is Fenty Beauty. Here is a full rundown of all the products used. P.S. how green does that shade of matchstick make my eyes look? I have a new lipstick love Ma’Damn. The Mattemoiselle lipsticks are amazing. They are intense yet light to wear. Think mega rich color minus the weight. These lipsticks glide on with an intense punch of colour – only one coat needed. An ultra-slim lipstick created in 14 weightless shades. No bleeding or feathering after application – with a velvety, soft-matte finish. It would be hard to choose but I think this was my favourite product from today!